The Antiquities Coalition’s Executive Director, Tess Davis, presented at Boston University Center for the Study of Asia’s seminar and forum, Contested Heritage: Monuments, Politics, and Memory in Asia, last Friday. Joined by three other experts, Davis focused on Cambodian “blood antiquities” and the intersection of cultural heritage, cultural diplomacy, and cultural nationalism. Davis employed the infamous Koh Ker Warrior to exemplify the global battle over the illicit “blood antiquities” trade that continues today, perpetrated by groups such as Daesh (ISIS). Davis discussed how the Koh Ker Warrior, after being looted during Cambodia’s civil war and sold to Belgian royalty in 1975, eventually landed in the hands of Sotheby’s auction house, which subsequently tried to sell the artifact. 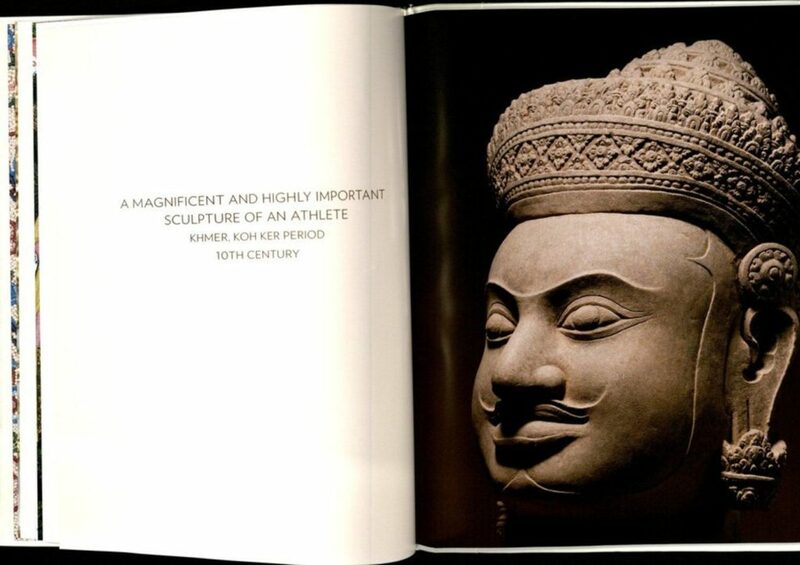 A picture of the Koh Ker Warrior in Sotheby’s catalog from March 24, 2011. In February 2012, after a New York Times expose, the United States sued for repatriation of the Koh Ker Warrior in the case of U.S. v. Cambodian Sculpture. The auction house settled in 2013 just as the case was headed to trial. After the settlement, Cambodia provided a hero’s welcome to the warrior in June 2014. According to Davis, this fight for the Koh Ker warrior blew the lid off the inner workings of the illicit “blood antiquities” trade. It led to a sea of change, not only in how those in the market and museum community view Cambodian antiquities, but in how the Cambodian government and people do themselves. Davis also concluded that “the overall message from the Sotheby’s case is that looting and trafficking of antiquities is a crime and it will no longer be tolerated: not by governments, not by law enforcement, and increasingly not by the art world’s own norms and values.” To learn more about the US market in Cambodian cultural property, read our blog here.